For as long as war has raged, heroes from every race have aimed to master the art of battle. Warriors combine strength, leadership, and a vast knowledge of arms and armor to wreak havoc in glorious combat. Some protect from the front lines with shields, locking down enemies while allies support the warrior from behind with spell and bow. Others forgo the shield and unleash their rage at the closest threat with a variety of deadly weapons. Warriors are mighty heavily armored masters of melee combat that are fueled by the Rage they generate in combat. If you like a straightforward approach, charging into battle, and bashing heads toe to toe, then Warrior might be a good class choice for you. This overview is designed to give you a better idea of what you’re getting into when you choose the Warrior class, but it’s important to remember that this is still just the tip of the spear, and there’s a lot more to learn and explore as you continue your adventure. 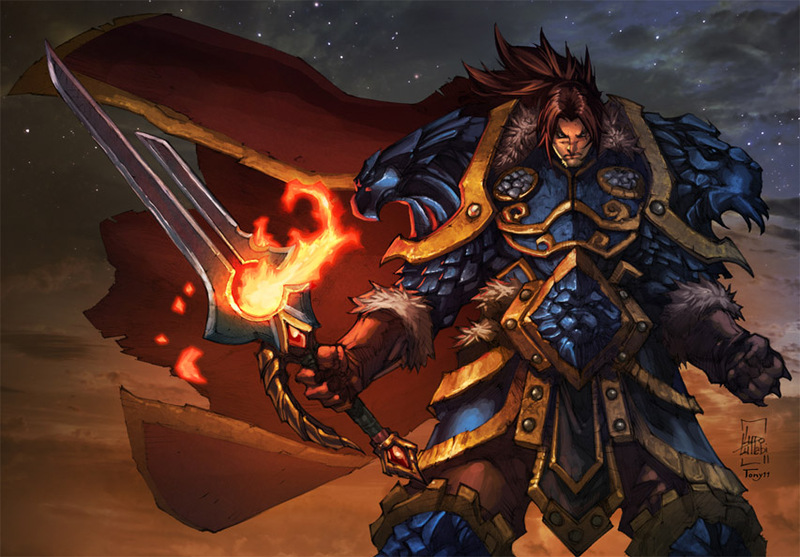 Warriors are a melee class that fulfills the tanking and damage dealing roles. Warriors can use a staggering variety of weapons and armor, but aspiring Warriors should focus their choices based on which class specialization that they’ve chosen and which stats are present on the item. When choosing gear, it’s always best to choose mail or, after you reach level 40, plate items. Strength is your go to stat, while Stamina is a close second (though Protection Warriors might prioritize Stamina!). Warriors are beefy, and thus, stats that support your beefiness are what you want. Other stats, such as Agility, can still be useful, but they won’t contribute as much to your armored juggernaut as good old brawny, beefy Strength and Stamina will. Other secondary stats, such as Hit, Haste, Expertise, Critical Strike, and Mastery can also be very useful, but they also tend to be present in greater amounts on gear at higher level. Such stats on low level gear can be quite powerful, even in small amounts, though. Protection – The archetypical “meat shield”. The wall of iron that stands between the forces of darkness and your pals. You’ll find Protection Warriors at the forefront of any conflict, stunning their foes and taking the brunt of the damage from fearsome enemies to make it safer and easier for their more frail and less durable companions to deal damage and heal. Tanking depends on both being able to take and reduce incoming damage, and many Protection abilities feature prominent use of a shield, thus Protection Warriors favor 1-handed weapons and shields. If you’re a Protection Warrior, and you’re not using the old dependable ‘sword (or mace, or axe, or whatever) and board’ combo, then you’re not doing it right. Shield Slam – Bash the bad guy in the face with a huge slab of metal—what’s not to like? This is a powerful ability when you first get it, especially since it does the same damage regardless of which weapon you have equipped. This is your primary damaging strike as a Protection Warrior, and generates Rage you can use for other abilities. You can bust out a Shield Slam every 6 seconds. Unwavering Protector – This passive ability increases the amount of Stamina your Warrior has, which in turn helps determine how big your maximum Health pool is. It also reduces your chance to be critically hit, increases the amount of armor that you’ll gain from items, and reduces the Rage cost of Thunder Clap (an ability you’ll get later on that’s quite helpful when tanking). 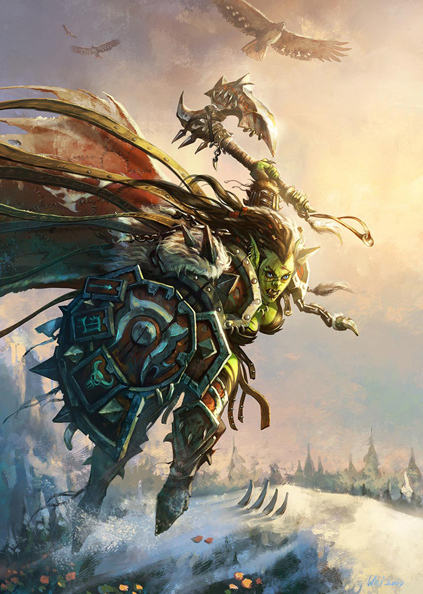 Vengeance – This passive ability is granted to all of the tanking specs. It’s an important tanking power, because it helps make sure that you can keep ‘aggro’ on your enemies, even while your squishy healers and damage dealers are doing their thing. It also helps your damage output when you’re on your own too! It works by converting a portion of the damage that you take while in Defensive Stance into Attack Power. The more Attack Power you have, the harder you’ll hit with your abilities. Questing as Protection can run a bit slower than it does with the more damage oriented specs. On the other hand, if you’d like to delve into a lot of dungeons as you level, and have very little competition for gear while you’re there, then there may be no better choice. You’ll also often be able to gather up and take on whole groups of enemies at once, due to nearly unparalleled beefiness. Still, generally speaking, you’ll defeat your foes more slowly than you would as Arms or Fury. Protection Warriors take on the role of ‘tank’ in a dungeon. This means that you’ll be leading the way, getting aggro from monsters and bosses, and taking the brunt of the damage. Tanks are nearly always in demand, so it will usually be easy to queue quickly for dungeons, but keep in mind that this also means that you’ll have some responsibility to know the way, as well as how the various encounters and fights work. Along with the other tanking classes, you’ll find Protection Warriors in all sorts of important tanking roles once you reach the level cap at end game, including perhaps the most vital of all: tanking in Raid Finder, Flexible, Normal, and Heroic mode raids. If you like to be at the center of the action making the big plays, then Protection is an excellent choice. You’ll have a sometimes challenging, but often very rewarding role to play. You’ll still have plenty of reasons to head out into the world, so the caveats regarding Protection we mentioned in the leveling section still apply. Fury – If you want to do a convincing impression of a chainsaw, then Fury might be for you. 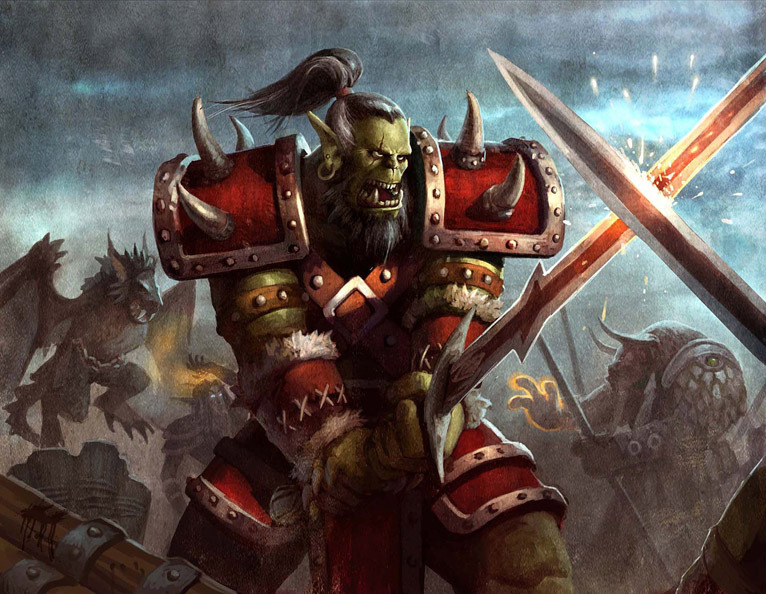 Fury Warriors are ferocious berserkers, famed for dual wielding mighty 2-handed weapons. Fury Warriors excel at dealing damage, and using their various abilities to quickly generate Rage, which allows them to use those same abilities quite often to get more Rage, to do even more damage! Warriors are built around dual wielding, and can even dual wield gloriously huge 2-handed weapons once they obtain the Titan’s Grip ability! 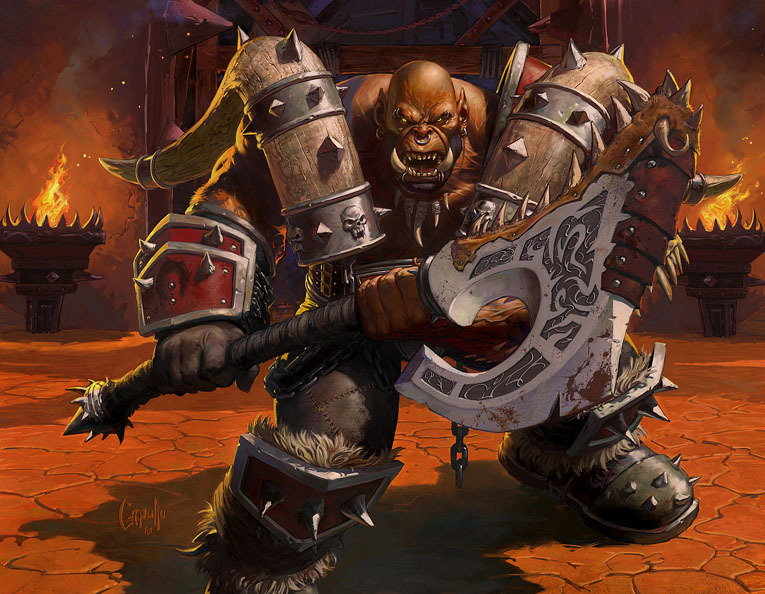 Bloodthirst – This attack is on a very short cooldown, and allows your Warrior to instantly attack dealing a portion of your weapon’s damage, in addition to a flat amount, as well as restore a small amount of health. It also doubles the chance that the attack will be a critical strike, and generates some Rage for other abilities too. Crazed Berserker – This passive ability makes your dual wielding more potent by doing two things: it makes your auto-attacks strike hit harder, and it increases the amount of damage that your off-hand weapon deals by a substantial amount. 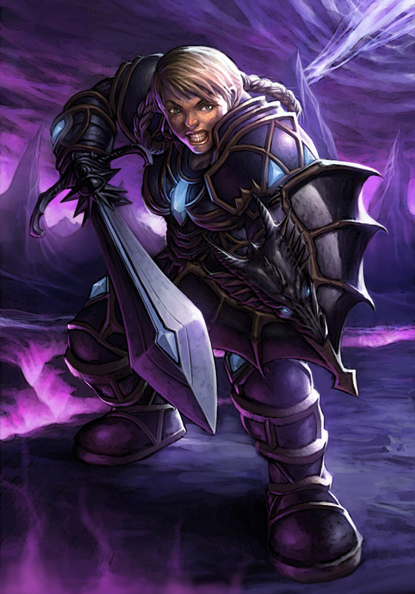 Fury is an excellent choice for leveling your Warrior, as you’ll slay your foes quickly when questing, and, while it’s minor compared with some other classes and specs, you’ve got a little self-healing to help keep you going. Like many other classes, Fury Warriors can be effective damage dealers in Dungeons. While they deal quite respectable area of effect damage, they are known for their single-target damage potential—which can be great for fighting bosses. If things go wrong, they can even swap over to a sword and shield to take a little damage and possibly help turn a losing fight into a winning one. Unlike Arms Warriors, Fury Warriors dual wield and strike swiftly with both weapons, rather than swinging a single weapon more slowly. Fast attacks can make for more steady damage output, which is often important in PvE encounters. You’ll find Fury Warriors in the end game grinding up the bad guys in Raids and Dungeons. It’s also a popular second spec to use when doing quests and the like. Arms – If you want to be able to do quite respectable damage versus baddies, but you also crave the crunchy sensation of crushing skulls in Player versus Player combat, then Arms might just be the ticket for you. Arms Warriors wield 2-handed weapons, do excellent ‘burst’ damage (lots of damage quickly, instead of it being more spread out), and use their signature ability, Mortal Strike, to both smack around their foes and make it harder to heal the wounds they inflict. Arms Warriors favor a single, mighty 2-handed weapon. Mortal Strike – This powerful attack is available every 6 seconds. You’ll swing your weapon instantly, dealing increased weapon damage in addition to a flat amount provided by the ability. In addition, you’ll generate a little Rage, and apply the Mortal Wounds debuff to a target, which reduces the effectiveness of any healing effects on your target until it wears off. Seasoned Soldier – This passive ability significantly increases the damage you deal with two-handed weapons, and reduces the cost of the Whirlwind ability you’ll acquire later on. Arms is also an excellent choice for leveling. You’ll find that the foes you face while questing will fall quickly to your mighty strikes. Much like Fury Warriors, Arms Warriors will take on the role of damage dealer in Dungeons. Arms Warriors can do heavy damage to two targets at once using the Sweeping Strikes ability, and are quite good at doing Area of Effect damage with Whirlwind. You can also tank in a pinch by swapping to a 1-handed weapon and shield if an encounter goes south. Arms Warriors aren’t tanks, and they don’t have the steady and consistent damage output that Fury Warriors do, but they can deal deadly burst damage that also inhibits their target’s ability to receive healing. That, in combination with a Warrior’s innate durability, sheer battlefield mobility, and ability to shrug off some forms of crowd control makes them an excellent choice for PvP combat. The rumbling engine of destruction at the heart of many a top ranked Arena team has been an Arms Warrior. To give you a feel for what to expect as you take your first steps along the Warrior’s path, these are the first few abilities you’ll gain as you level. Of course, these are only a small handful of the skills and powers you’ll learn along the way. Battle Stance - Warriors can swap stances to gain different bonuses and effects. You begin knowing Battle Stance, which allows your melee attacks to generate more Rage. Heroic Strike – Heroic Strike is your first damaging ability. Later on, it will become an ability that you only use to burn off excess Rage, but for now, it will be your most important damaging ability. 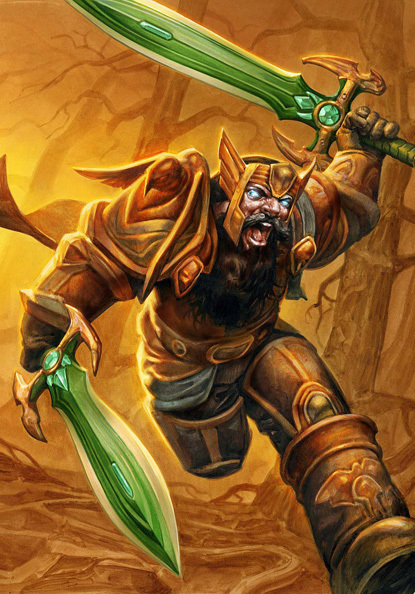 Parry (passive) – All Warriors begin their careers with the knowledge of how to deflect enemy melee attacks with their weapon. This passive ability (which means that you don’t have to do anything at all to trigger it; it’s always on) offers you small chance to block incoming melee attacks. Throw – Throw gives your Warrior the ability to ‘pull’ or aggro enemies from a distance. Using it will cause your hero to toss a small dagger at the foe you have targeted. It doesn’t do much damage, but throwing pokey objects at bad guys can be a great way to get their attention when Charge is on cooldown, or just isn’t a good idea. Charge (Level 3) – After you have Charge, it will be one of your best ways to initiate a battle. Charge will let you speedily barrel toward your foe, stun it on impact, and give you some Rage to start the battle with. Victory Rush (Level 5) – Victory Rush can keep you going after a battle, and do some damage to boot. Upon defeating an enemy, you’ll gain the ability to trigger Victory Rush. It’s an attack that will do damage (and has no Rage cost! ), that also heals you for a bit. Try slaying one foe, then Charging up to a different one and triggering Victory Rush to do some damage and heal so that you’re fresh for the fight. Execute (level 7) – Execute can be a great way to make sure an enemy falls quickly – particularly tougher foes. It’s a special attack that’s only usable against enemies that are at 20% of their maximum health or lower, but it does massive damage and gives you a great way to cut the fight short fast. Defensive Stance (level 9) – The second stance you’ll learn as a Warrior, Defensive Stance reduces incoming damage, generates a little Rage while you’re in combat, and makes it a lot easier to get the attention of enemies that you attack. It’s mostly intended to be used when tanking, but it can also help save your hide if you’re getting low on health, or you need to run when things get too hot. Share your tips and resources for aspiring (and experienced) Warriors in the comments!